UK Prime Minister Theresa May will visit Buenos Aires on a state visit later this year. Argentina's Foreign Minister Jorge Faurie says the government will seek to forge "improved relations" with Malvinas/Falkand Islands residents when UK Prime Minister Theresa May visits Buenos Aires on a state visit later this year. Faurie's statements come just days after Argentina formally protested British military exercises in and around the disputed Islands. "We have a relationship with the British government that includes dialogue with those people living on the [Malvinas] Islands. Our intention is to forge improved relations among the continent and the Islands", Faurie said, speaking to Clarin in London. "We want those people living on the Islands to feel as though they can come to Argentine for education, to receive medical attention and to do business", he added. 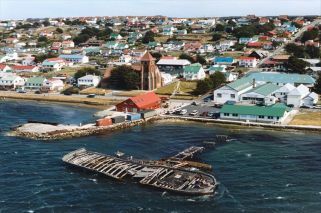 Any improvement in Argentina's ties with Malvinas Islands residents "is only going to have a positive effect" and will be "carried out in a reasonable way", Faurie said. Since taking office in 2015, the Mauricio Macri government has sought to improve Argentina's ties with the United Kingdom. This change in foreign policy, part of a broader opening up to the world, followed years of tension between London and Buenos AIres under the Kirchner administration. On a visit to Argentina in May, then UK Foreign Secretary Boris Johnson laid a wreath at the monument to fallen Malvinas War soldiers. “As the UK leaves the European Union, my message is that the UK is open for business. I look forward to a new chapter in our relationship, and booming trade prospects, after the UK leaves the European Union”, Johnson said upon arrival to the country. In March, the two countries agreed to allow more than 200 relatives of 90 fallen Argentine soldiers killed in the South Atlantic War with Britain visited Darwin Cemetery on the Malvinas to pay homage and see the final resting places of their loved ones.